This is my almandine garnet collection. 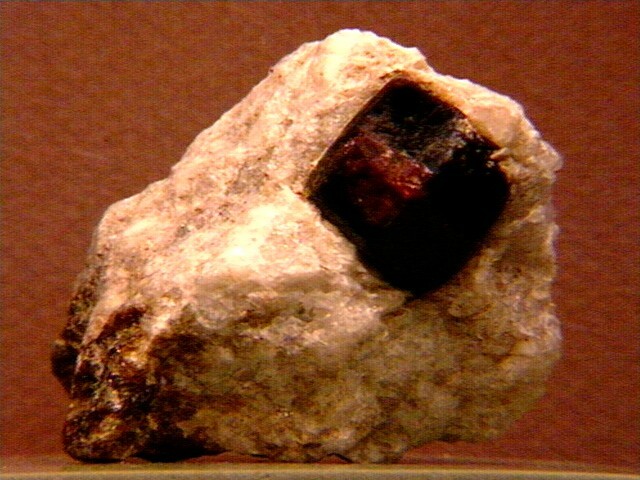 Even though almandine is probably the most common garnet, I don't have that many specimens, probably because really nice almandines are hard to find. Garnets used in jewelry (unless specified otherwise) are almost always almandines. 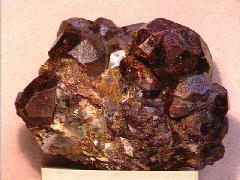 Massive almandine is crushed to produce industrial abrasives. 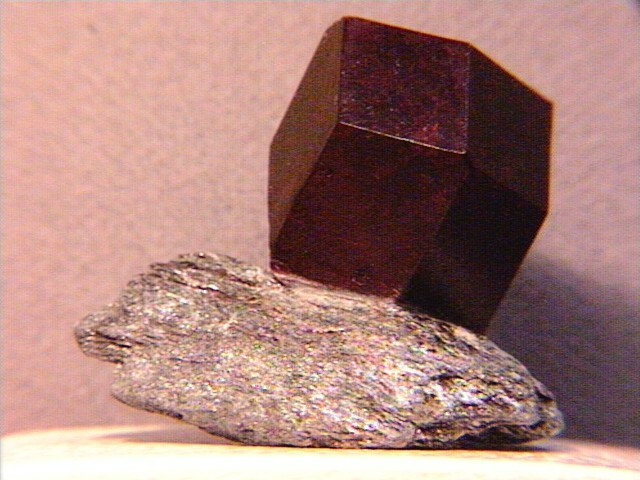 A nearly opaque, dark purplish-red almandine from Mt. Lemmon, Arizona. The facets are a combination of both rhombdodecahedral and icosatetrahedron forms. 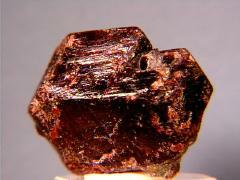 This was one of the first garnets in my collection. This is almandine gneiss - the dark bands are really hundreds of submillimeter almandine garnets. 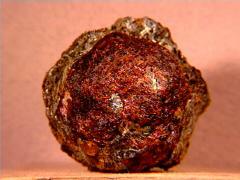 Another almandine - this dark red one's from Tirol, Austria and is almost two inches across. 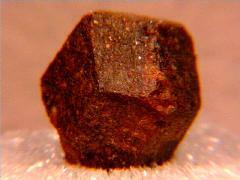 A beautiful dark-red almandine with all 36 faces intact! The larger picture also shows a second, smaller one from the same location, Wrangell Island, Wrangell-Petersburg Borough, Alaska. 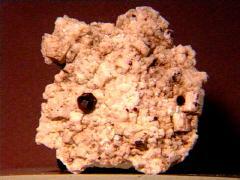 Thanks to Roger Hoek at ARCH Minerals for the specimen and the images! 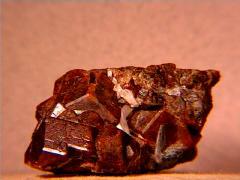 These dark red almandines on an orthoclase matrix are from Mexico. Thanks to Greg Ferdock at Gem Finders International for the specimen and the image! 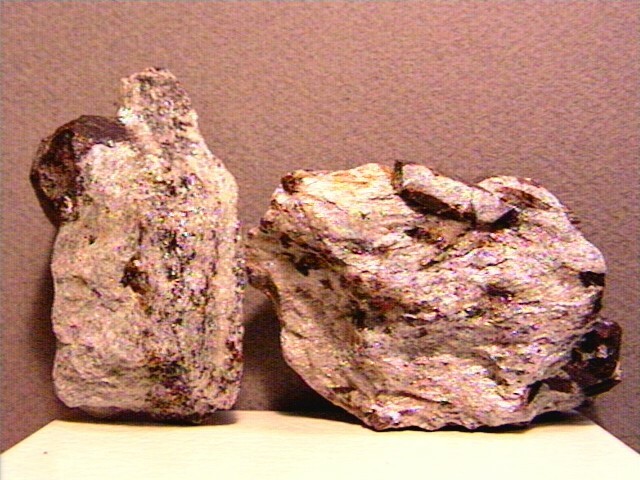 Two pieces of almandine schist from Roxbury, New Haven County, Connecticut - the one on the right has some staurolite crystals as well. Thanks to Leslie Shelby's auction on eBay for the specimen! This almandine in quartz nodule is from Serrote Redondo, near Pedra Lavrada, Paraiba, Brazil. 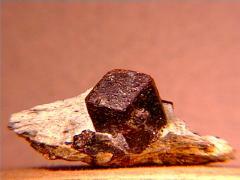 Thanks to Dean Johnstone at mineralsfromindia.com for the specimen! An almandine cluster from the famous Melrose Mine in Stoneham, Oxford County, Maine. Thanks to Jeff & Kerri-Lynn's auction on eBay for the specimen! An absolutely gorgeous big almandine from the Passiria Valley, Italian Alps, Bolzano Province, Italy - it's easily four cm across and translucent around the edges with very smooth faces. 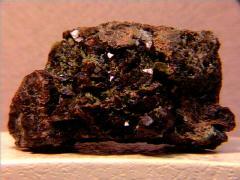 Thanks to Rossano Carlini at E-Minerals for the specimen! 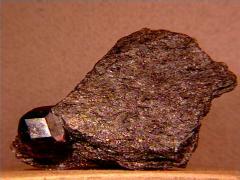 Eight purplish-red almandines in schist from Lake Martin, Tallapoosa County, Alabama. Thanks to Kevin MacNelly's (Geodeland) auction on eBay for the specimen! 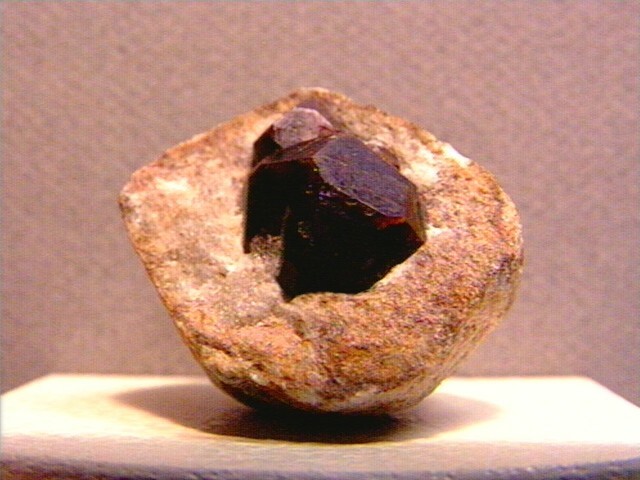 A big twinned almandine from Laniel, Quebec, Canada. 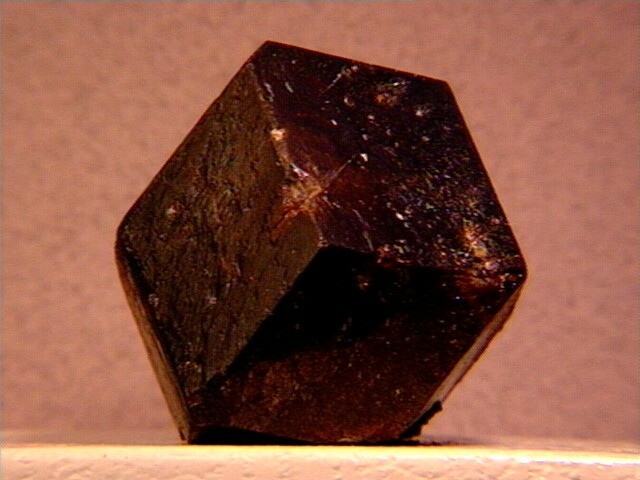 An Idaho star garnet - when cut and polished this one should have a 4 or 6 rayed star (due to parallel inclusions) visible in it. 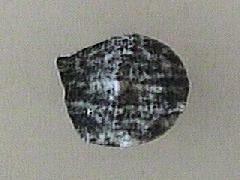 Thanks to Roger Hoek at ARCH Mineralsfor the specimen! 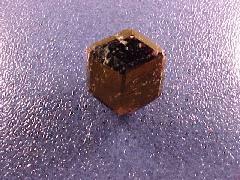 More Maine almandines - this one's on a smoky quartz matrix and comes from the famous November Ledge in Stoneham. Thanks to Dennis Brown's auction on eBay for the specimen! A cluster of very dark red almandines with light green epidote-included quartz from the Marmoraton Iron Mine in Marmora Township, Hastings County, Ontario, Canada. Though sold as almandine, similar garnets from here have been analyzed (George Robinson, MinRec,V13 #2, pp. 73 - 75) and found to be andradite-grossulars. Thanks to Dean Bessey's auction on eBay for the specimen! Thanks also to Reiner Mielke for the species and association update! 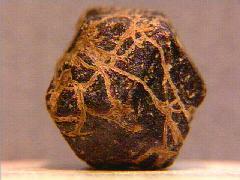 A floater of deep red-brown almandines from Monte Faiallo, Genova, Italy. Thanks to Mike & Barbara Shell's auction on eBay for the specimen! 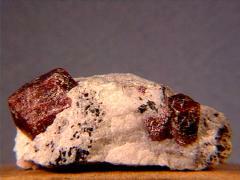 A very nice purplish-red almandine on quartz from Spruce Pine, North Carolina. 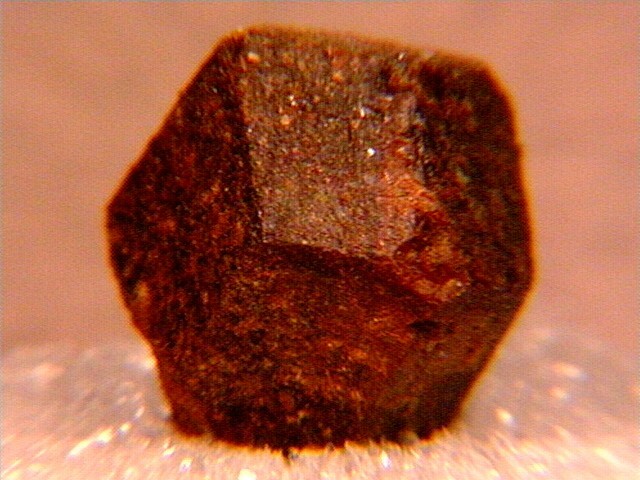 The surface of this thumbnail almandine from Roxbury, Connecticut is beginning to alter. 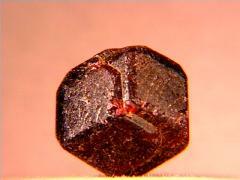 Beautiful, but mostly opaque, purplish-red almandines on matrix from Moses Butte, Shoshone County, Idaho. Thanks to Lanny Ream's auction on eBay for the specimen! 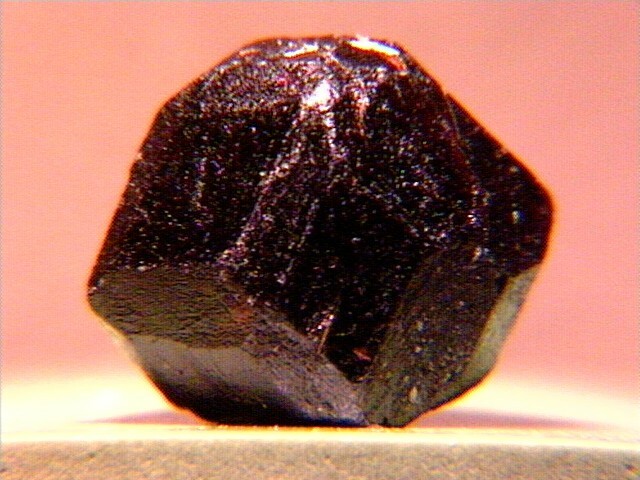 Another Wrangell almandine - the closeup shows some transparency. Like pyropes, almandines can also form eclogites - this pair (larger image) is from Ring Mountain near the Tiburon Peninsula, Marin County, California. 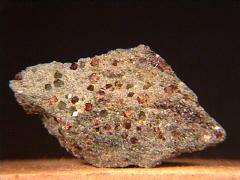 Thanks to Tom Lettier and Ken Balthazor's (The California Crystal Connection) auction on eBay for the specimens! 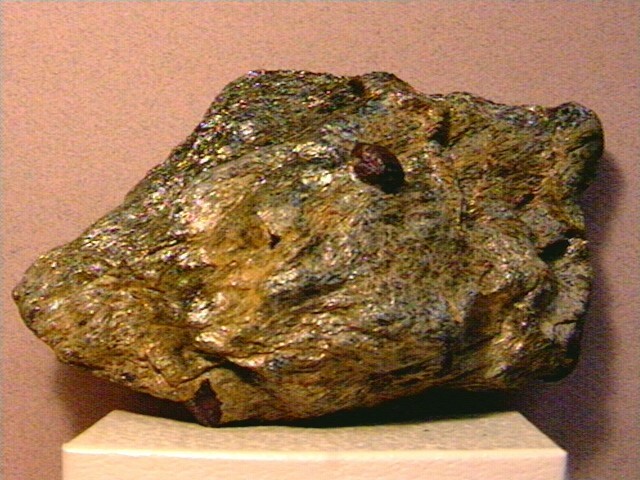 A very nice light red almandine on schist from Green's Farm, Southbury, New Haven County, Connecticut with etched faces - the larger image shows a layer of golden mica on the bottom. 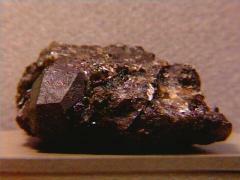 Thanks to Eric Greene (Treasure Mountain Mining) for the specimen! 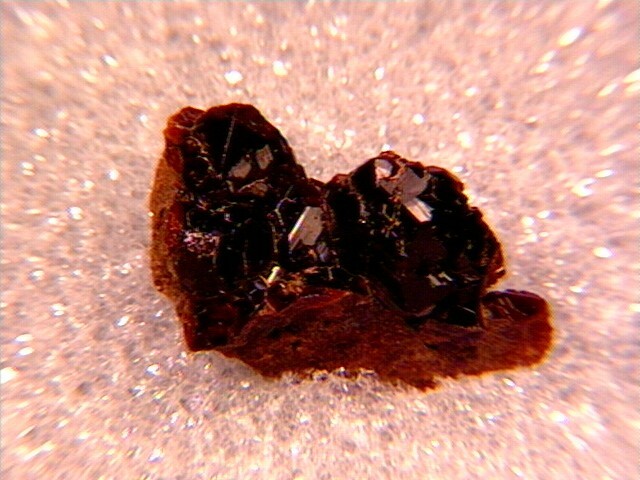 This miniature of sharp deep red almandines is from Emerald Creek, Latah County, Idaho. Thanks to John Usrey's auction on eBay for the specimen! 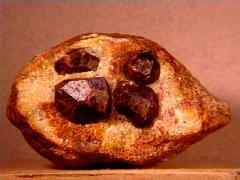 Like my singleton above, this foursome of almandines is from Brazil, probably near the same locale. This is a big (45mm) almandine in chlorite from River Valley, Ontario. Thanks to John Lally's auction on eBay for the specimen! 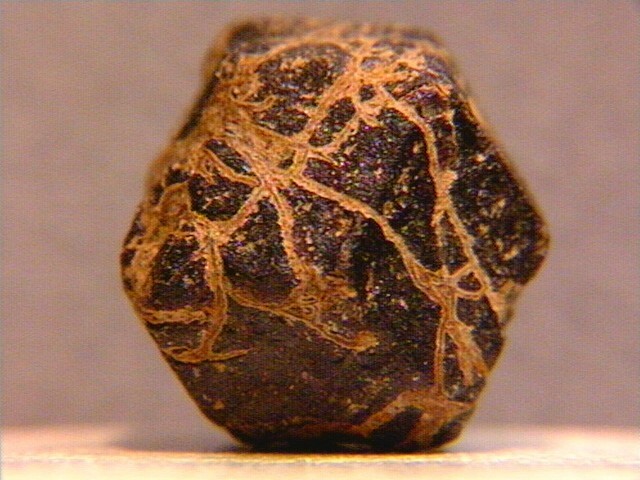 A very nice compactly-twinned almandine from China.